Is your Gemini man in contact with his ex wife or girlfriend and you’re trying to figure out if he still has feelings for her? Do you wonder if he may break it off with you and go back to her? So, is your Gemini man still in love with his ex? Here are some things you should keep in mind when trying to piece together the puzzle. With the Gemini guy, he will not have any troubles opening up to his current partner about his ex. If he’s comfortable, he doesn’t feel the need to hold in anything about his past. It doesn’t mean he’s going to go into detail about it but he will disclose pertinent information where it may be warranted. Everyone talks about their ex’s and so this is something that is very healthy. This means that whoever he was closest to, you’ll probably figure it out. Though he’ll probably play it up and make it seem as though you’re better with him than she ever was. The problem is, it may just be a bunch of fluff because he doesn’t want you to know the truth about how he felt about her, what really happened, and what is the real reason they’re not together now. He may give a very generic reason for why they parted ways because he wouldn’t want you to think lesser of him if he was the one that caused the problem to occur. If his ex was the one that was the problem, he wouldn’t want you to know that either really because he may have already forgiven her for what happened and you’d probably see right through it. Just know that he’s open to talking about his ex or ex’s but he’s probably not going to tell you really intensely personal things because it’s not necessary and it could cause you to become upset. This is where things get a bit dicey. If you two have been together for a long time and he starts talking about her a lot out of nowhere, there may be a reason for that. It’s likely something you won’t like. He may have run into her somewhere if she lives in the same town or is traveling through. He may also have gotten a call from her. Then there is the possibility of email or social media connection. Perhaps she sent him a friend request on one of the various social media or dating site. Why would he be on a dating site? He shouldn’t be but Gemini men can be sneaky sometimes. So there are various ways that he could have recently talked to his ex thus refreshing his thoughts and possibly feelings he had for her. This would cause him to talk about her a lot and in a pleasant way around you. You may want to ask him what the deal is if this happens. Of course, in the event that you’ve not been together very long and he’s already talking your ear off about his ex, it may still be fresh. Yes, there is a possibility that he may want his ex back if you’ve not been dating or seeing each other long. You will want to ask him, flat out, how he feels about her since he’s talking about her so much. In the event that you’ve been together a long time and he’s re-connected with her, you may want to ask him honestly how he feels about her now and if he’d like to be closer to her again. Yes, it will be putting him on the spot but hey, if he’s talking about his ex a bunch to you, then that’s not exactly fair or nice. He should realize it’s inappropriate for him to do that as it hurts you. As I mentioned before, the Gemini man will bring up and ex or two in regular conversation but it shouldn’t be more than you bring up yours. Talking is talking and it’s all very normal. This is when you need to trust your gut. If it seems as though he’s talking about her outside what you feel is healthy, then perhaps you should ask him how he feels about her and if he’s considering having her back. If he says he doesn’t want her back or feel that way about her anymore then at that point, ask him to try to make an effort not to talk about her quite so much as it makes you uncomfortable. Surely if he cares about you, he’ll understand and do what he has to in order to make you feel comfortable with him. What do you do though if he says he does still have feelings for her? Perhaps he has feelings lingering but doesn’t necessarily want to get back together. This would cause him to talk about her fondly and making her seem like such a great woman. With Gemini man, you have to be gentle. If you go at him while you’re really upset, you may trigger something and the discussion will not go in your favor. Gemini men don’t do well with emotional things. 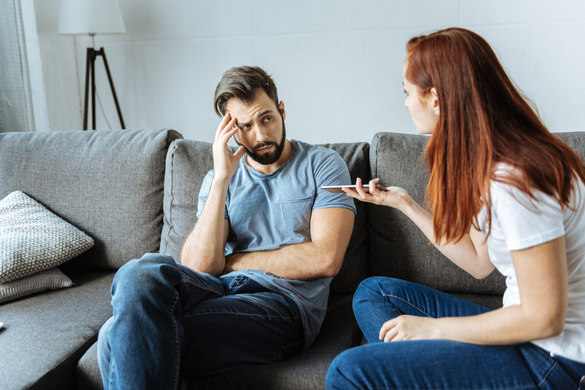 You can follow it up with “I know it’s normal to talk about ex’s and all but you’ve been bringing her up a little too much.” Then explain to him and ask him if he could try to bring her up less. Maybe he’s not even aware he’s been bringing her up so much. I have had a gemini come to me and ask me 0ut.. It’s been great and our comunication is wonderful ( going on 4 months) but my gut feeling is he still loves his ex.. What to do?